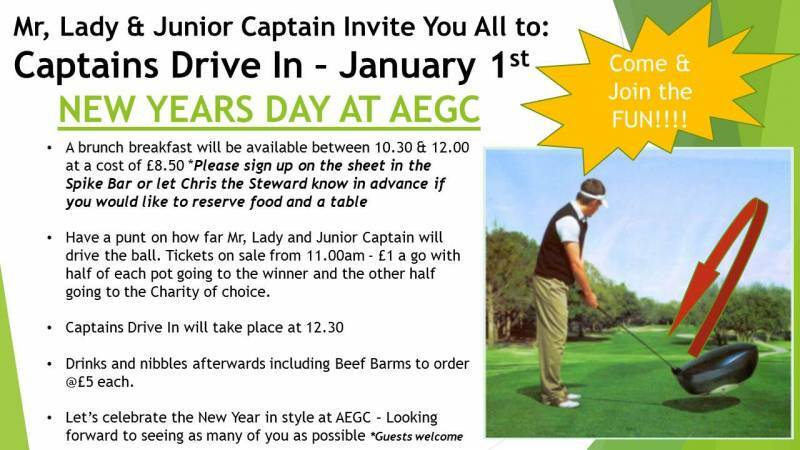 You and your families are invited by Mr., Lady and Junior Captain to the club on New Year's Day to witness the traditional Captain’s Drive In. Details are published on the attached poster. We look forward to seeing as many of you as possible to support what is always a good day and a great way to start the New Year.